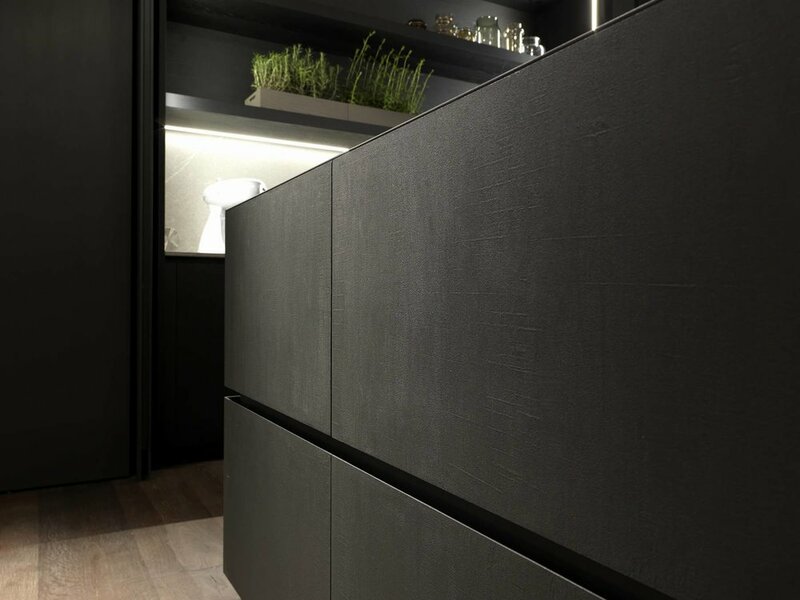 During Milan Design Week 2017 Modulnova launched an extraordinary array of new products – none more exciting for us than the new Calce rendered finish for the range FLY. FLY has been a consistent heavyweight for Modulnova since its creation by architect Andrea Bassanello and the reaction in Australia to the monolithic form of FLY has been nothing short of impressive. The reworking of the range to achieve new outcomes in design is sure to attract plenty of attention, with the sophisticated textural finish of the Calce render, elevating this range to show stopping new heights. The FLY composition presented by Modulnova in our central Milan showroom, combines the substantial aesthetic of FLY with the lightness of the range Blade for the backdrop – both in matching Calce to develop a perfectly minimal atmosphere. 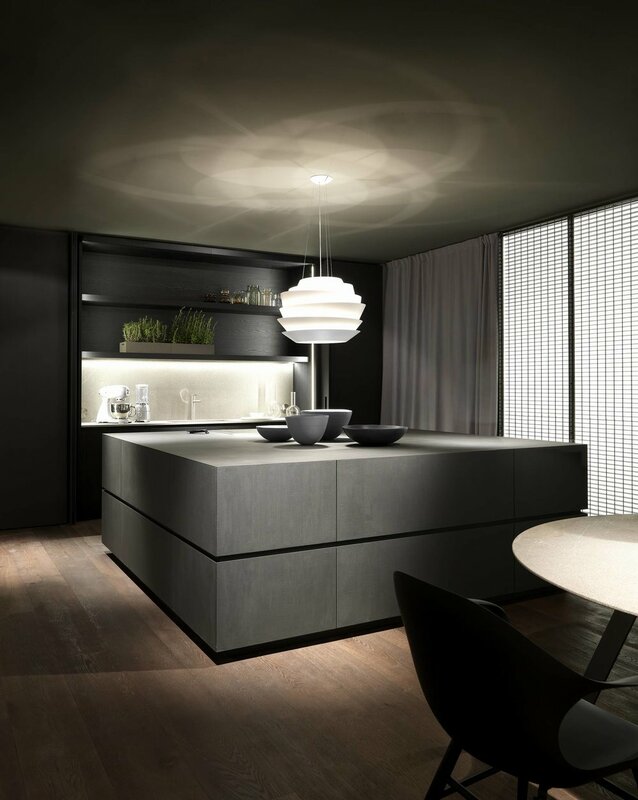 This restrained approach is further enhanced through the pairing of matching porcelain benchtops available in all Calce colours – with Grey Calm applied here. 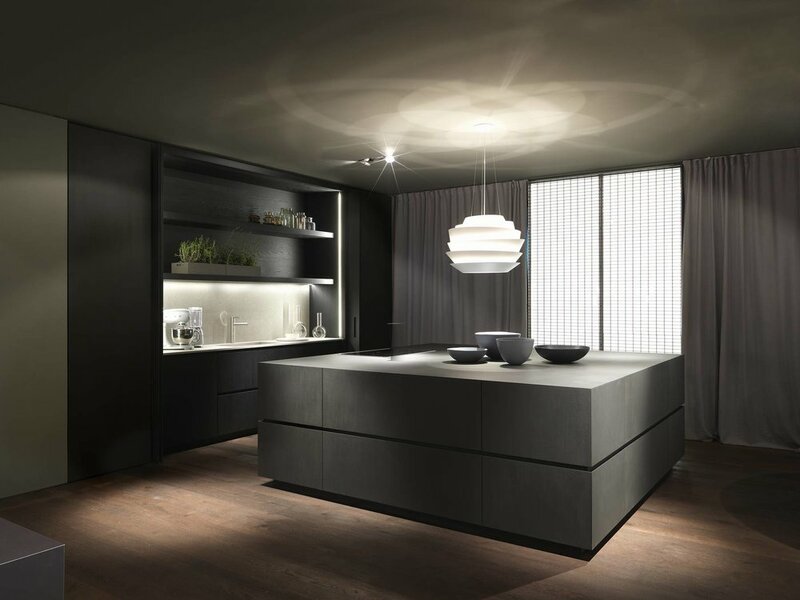 The luxurious dark oak internal detailing adds another level of sophistication to the scullery area, concealed behind the large bi-folding and retracting doors.